Here is a video about this wonderful story of how a little baby was raised back to life! The baby who was raised up. In March, 1956, Brother Branham went on a very important trip to the country of Mexico. The Lord had told him, "Go on back down to Mexico; I'll be with you." On the trip, God did many miraculous things for the poor, humble people of Mexico. The blind received their sight, the crippled walked again, the dead were raised, and thousands of souls were won to the Kingdom of God. It was hot and rainy one particular night at the meeting in Mexico City. The people had been standing outside in the hot sun since 9 O'clock that morning, just waiting to hear Brother Branham preach at 9 O'clock that night. By the time the evening service came and it was time for the prayer line, it was pouring down rain. All of the prayer cards had already been handed out, but there was one desperate young mother who didn’t get one. Her baby had died that morning and she was carrying the little, lifeless child in her arms, wrapped in a soaking wet blanket. The little woman, frantically, with tears streaming down her cheeks, screamed to the top of her voice trying to get to Brother Branham. She was climbing overtop of the deacons, underneath them, around them, anything she could to get to the prophet of God. 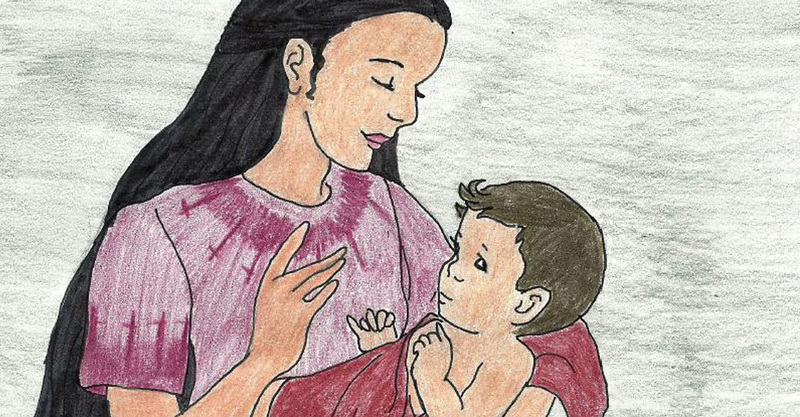 She had faith and believed that if she could only reach him, her baby would live. Brother Billy went to Brother Branham, and said "Daddy, you'll have to do something. That woman hasn't got a prayer card. And I give all those ushers orders not to let anyone in the prayer line without a prayer card." And said, "There she is down there; she's whipped every usher down there." Brother Branham told Brother Moore to go down and pray for the baby, and maybe that'll comfort her. But no sooner than Brother Moore walked away and Brother Branham looked back over the audience, he saw a little Spanish baby sitting up, "gooing." Brother Branham called for Brother Moore and had the woman come up to the platform. She didn’t understand what he was saying, but he put his hand on the little baby and said, "God, Thou has showed a vision of this little Mexican baby. That mother's love has touched You in some way." Just then, the little baby let out a big squeal and started screaming to the top of its voice! 20,000 people accepted Christ when they saw that baby. That little baby was restored back to life by Jehovah God, Who felt the love of that mother pressing for her baby. If God can raise a baby back to life after being dead for an entire day, He can do ANYTHING in your life, if you’ll only have faith and believe in Him.